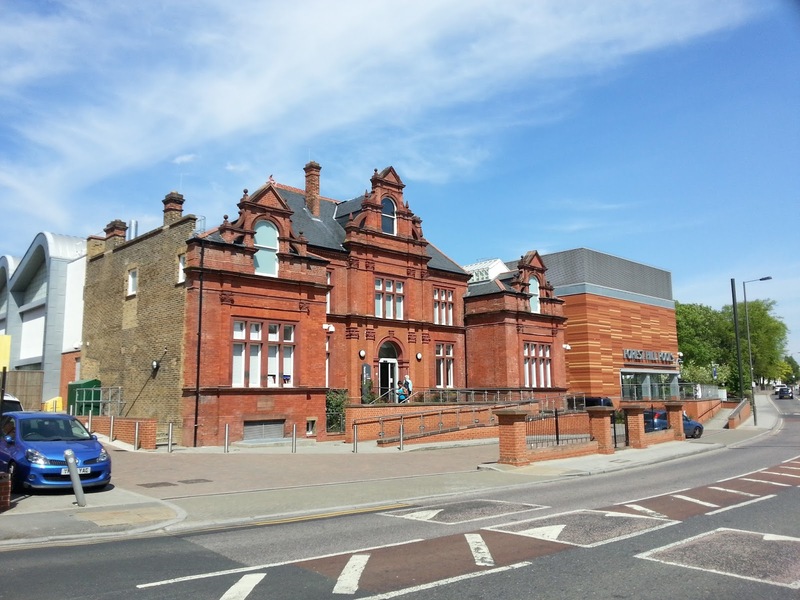 Public swimming pools have existed on the current site in Forest Hill since 1885 though much has changed — there is no longer first and second class swimming pools or a separate entrance for women! 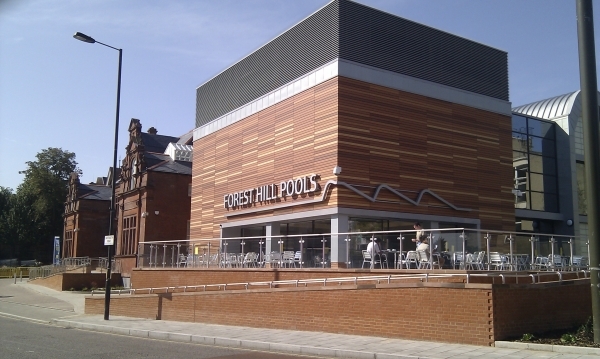 After closing in 2006 for health and safety reasons, it took pressure from the Forest Hill Society and other local groups to get the Pools re-built and re-opened in September 2012. Now run by the Fusion Corporation on behalf of Lewisham Council, the Pools have gone from strength to strength, with individual memberships now exceedsing 2,000. The Pools play host to local clubs, support several schools and represent a vital community hub. 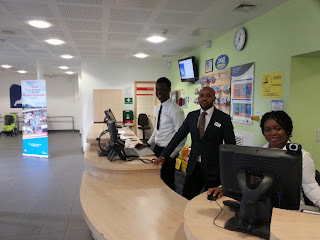 John Firmin spoke with Ben Weldegabriel (pictured in the centre), the Pool’s Customer Relations Manager to find out more about our local leisure centre. Ben has worked with Fusion for seven years and before coming to Forest Hill worked at ‘Wavelengths’ in Deptford. For Ben, a key role for the Pools is making exercise fun. The Pools and the associated facilities must be easy to access and use. There is, for example, an after school club. And the service is tailored to the customer’s needs, whether they want to use the facilities daily or just occasionally. Families are encouraged to join with Family Choice, which offers the full range of facilities for adults, and swimming lessons and ‘soft play’ for children. The 25 metre and learner swimming pools have timetables to cater for the many different groups that use them. Swimming is free for under 16s, over 60s and people with disabilities. There are sessions assigned to women only and families. The Pools play host to the Saxon Crown Swimming Club, an underwater hockey team and a Triathlon Club, all of which welcome new members. Upstairs, there is a modern gym and two exercise studios for classes including yoga, Pilates, indoor cycle, Zumba and body conditioning for all abilities. The studios also host exercise classes for people with heart conditions referred by their GPs and for over 60s. Personal training is available or you can just do your own thing. Either way, a full induction is provided for every new user to help to ensure their health and safety. Forest Hill Pools doesn’t cater only for exercise; it has a community room which is available for hire, and the facilities can be used to host birthday parties, with tailored packages making use of the swimming pools and the studios. 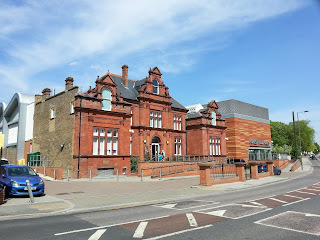 Becoming a member at Forest Hill Pools enables you to use other Fusion-run leisure facilities in Lewisham. 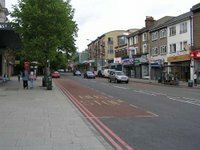 Locally, these include badminton courts at Forest Hill Boys School, squash courts at the Bridge, in Kangley Bridge Road, the Ladywell running track and spa facilities at Glassmill Leisure Centre in Lewisham which includes sauna, steam and ice rooms. How about setting yourself a personal goal this summer? Forest Hill Pools will be running a ‘Swim School’ - an intensive course of swimming lessons, and classes in how to become a life saver. Whatever your fancy, there is something for you at Forest Hill Pools.